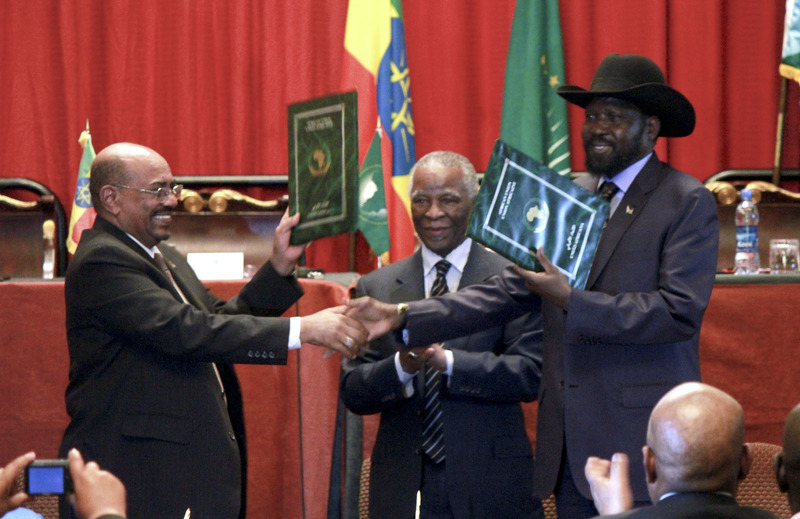 Throughout the last fifty years of war between North and South Sudan, peacemaking efforts have never simply been about the quality of mediation. Experience has demonstrated that without international unanimity and pressure, diplomatic efforts to resolve the cycle of conflict between North and South were, by themselves, insufficient to support peace. That is true again today, as a long mediation effort, conducted under the auspices of the African Union High-Level Implementation Panel, or AUHIP, headed by former South African President Thabo Mbeki, begins to wind down. Without a strong stand now by the U.N. Security Council, the ambiguity of the next difficult steps in negotiations could undermine the prospects for peace. In the coming days, the U.N. Security Council will have the opportunity to vote on a set of recommendations from the African Union Peace and Security Council, or A.U. PSC, on ways to address the outstanding issues that remain after the conclusion, in September 2012, of a set of agreements between Sudan and South Sudan. The A.U. PSC’s recommendations are based on President Mbeki’s October 24, 2012 report. The A.U. PSC’s recommendations are a productive contribution to international efforts to resolve the remaining outstanding issues, and the U.N. Security Council should endorse them while adding to two key areas in which the A.U.’s recommendations are deficient. One, the A.U.’s recommendations do not identify any consequences, should any party choose not to comply with them. Two, the A.U.’s recommendations do not offer a constructive way forward on the issue of unfettered international humanitarian access to the Sudanese states of South Kordofan and Blue Nile. The U.N. Security Council must rectify these issues through the adoption of a resolution, under Chapter VII of the U.N. Charter, which provides clear guidelines, particularly on the issue of humanitarian access, and consequences for those parties found not in compliance. If the U.N. Security Council neglects to do this, it will create new space in the region for spoilers who do not want peace. The government of Sudan’s recent public insistence that it will not accept the A.U. PSC’s recommendations on the final status of the Abyei area underscores what is at stake. Without clearly defined disincentives related to noncompliance, the A.U. PSC’s recommendations, and any accompanying U.N. Security Council resolution, will do little in terms of consolidating peace and resolving the outstanding issues. The U.N. Security Council has the next move, and it may be the most important one. A clear way forward with targeted consequences for those who resist will lay the ground for peace and save lives through the provision of desperately needed aid.